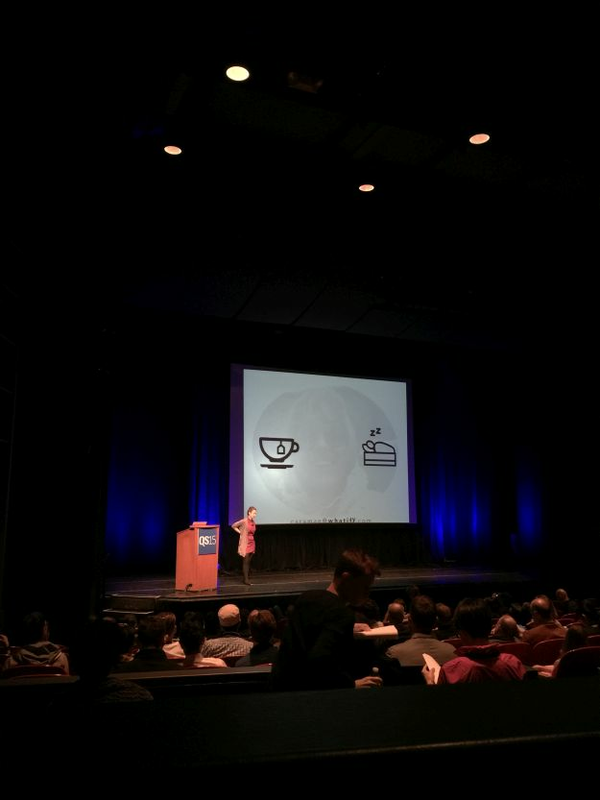 We recently attended the Quantified Self Conference in San Francisco and that got us thinking about data ownership. 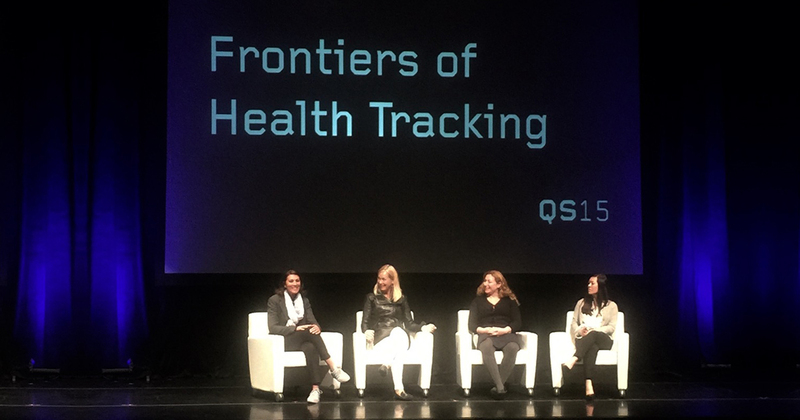 A couple of weeks ago I visited the 2015 Quantified Self (QS) Conference in San Francisco. It was a great event, packed with hundreds of talks by interesting people sharing how they are using data to better understand and change the way they live. Although we don’t often talk about it, here at Qlik we have a lot of quantified selfers. For many of us, the Qlik Analytics Platform is our go-to technology when it comes to analyzing all our data, whether that’s for work or play. From tracking wine or beer appreciation to fitness and managing the data from multiple accounts and devices. Lots of Qlikkies have created apps and dashboards to be better at the things that matter to them. Quantified self activities are broad and very diverse. It ranges from tracking steps and sleep quality through to looking at your microbiome and blood markers, or even analyzing the emissions of electromagnetic frequencies in your apartment. Much of it is focused on personal health and self improvement, and it’s the blend of devices, sensors and data that makes it a true instance of the Internet of Things. The range of skills and expertise needed to understand the data varies immensely and community sharing makes it possible. It opens up new and exciting ways to analyze your life. Some people are building sensors and devices, others hacking their data together, while more and more people are creating services to help everyone get involved. At the QS Conference I heard stories and saw examples of how people were tackling many of the same problems that Qlik Sense helps us solve. Almost everyone there had realized that a single data set wasn’t enough. It wasn’t until they started combining different data sources that they started to get real insights - human problems are rarely one dimensional. Finding ways to combine and explore data from differing sources is key. Of course this is what the Qlik Associative Indexing Engine (QIX) does best. That’s why I can have an app that takes my fitness data and smashes it together with social data, and I’ll be adding weather to that soon via Qlik DataMarket. It’s also why the Apple health data categories are so broad (even if not quite broad enough just yet). Being able to see and explore the whole story of you in your data is essential to understanding and improving your life. One of the most contentious and interesting areas around in the QS community is in regards to ‘my data’. For many, this data is very personal; it’s very revealing and sensitive. The idea that your data is positioning you as an outlier or abnormal to the population is also a hot topic. Some people are choosing to do QS in ways that aren’t part of larger services and communities. This could be seen as the ‘selfish’ side of QS, but the sharing ethos is so strong in QS that it’s more about being open to diversity in the data and rejecting someone else’s idea of the modeled norm. The community knows that sharing data and practices is how other people really can find their own insights, and so collaboration is key. These activities enable people deal with real issues in incredible ways, whether it’s a small group pooling their data on an understudied illness or the mass services with large-scale data sets that may help the greater good. Services like uBiome and 23andme are building up broad data sets that they are making available for scientific studies. Something that the Apple Health is also designed to support. The quantified self is not selfish, it’s citizen science done in a way that engages and matters to the people taking part. The phrase “Quantified Self” was coined by Kevin Kelly and Gary Wolf, and is already 8 years old. The QS movement now has an international conference and a growing global community of enthusiasts, startups, products and services. Many people may not consider what they’re doing as part of the QS trend, but today millions of us are tracking our steps and activities. As this develops more and more are seeing self knowledge through data as the way they will interface with health care professionals (and insurers) in the future. Exciting and revealing times lay ahead. So grab your data and see what the story of you is! You can also read more about how Northeast Solution Architect Manager Jason Yeung was able to better track his fitness using Qlik Sense in a blog post here on Qlik Community.